Tay Road Bridge chiefs have pledged to tackle the rising number of emergency incidents reported on the crossing after admitting they are “nowhere near where we need to be” on the issue. Data analysis taken from the bridge’s official twitter account shows an annual rise in reports of police call outs, from 21 in 2016, 23 in 2017, to a peak of 28 this year. Many of the closures are due to people attempting to harm themselves on the span. Officials pledged at the start of 2018 to probe whether anything could be done to reduce the number of incidents on the route after campaigners pointed to similar efforts being made in cities around the world. 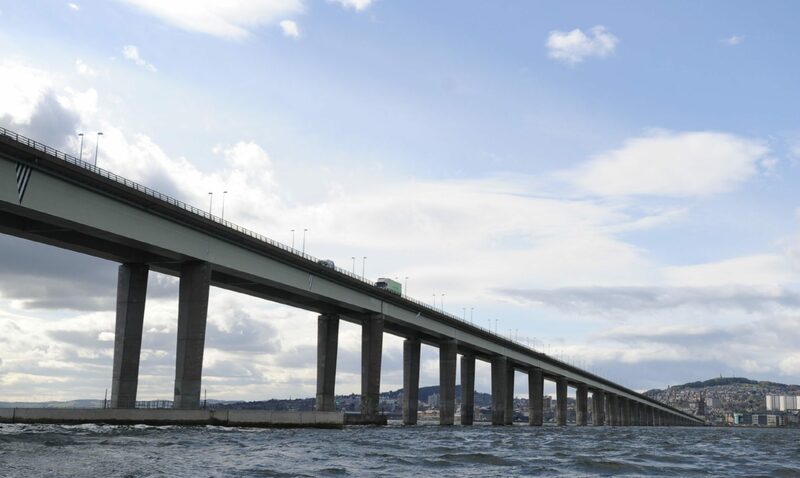 Stewart Hunter, chairman of the road bridge board, revealed his team have looked at ways of making physical alterations to the crossing but found no structural change could be made without compromising its integrity. He said: “From my point of view, one person on the bridge is one too many so any trend showing the numbers increasing would be worrying. However, even if it was decreasing, I would still be concerned for those individuals. “There are a number of reasons why the numbers have increased and mental health is part of it. I think it would be irresponsible to focus on one aspect and ignore others. 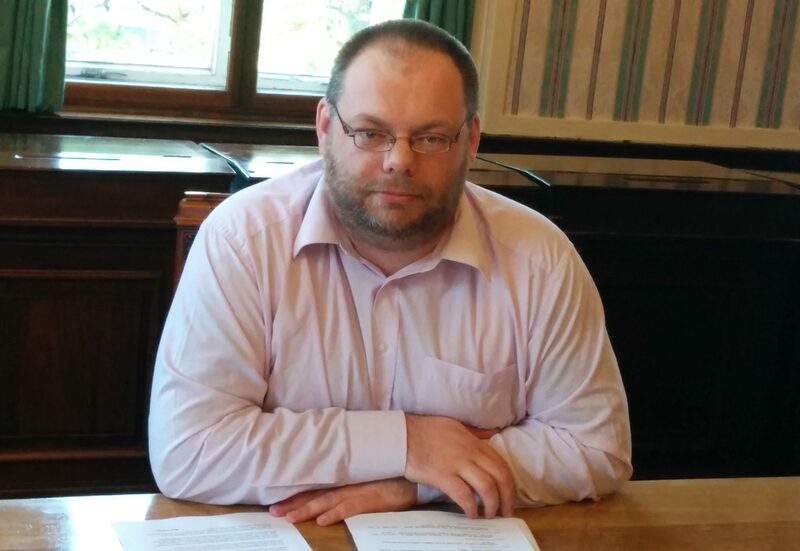 “The Scottish Government, Dundee City Council and our partners are working hard to tackle this issue and make sure the people who need help get it. But obviously, there is still a long way to go and we are nowhere near where we need to be. Mr Hunter paid tribute to the “unsung heroes” working on the bridge who respond immediately when emergency incidents are reported. 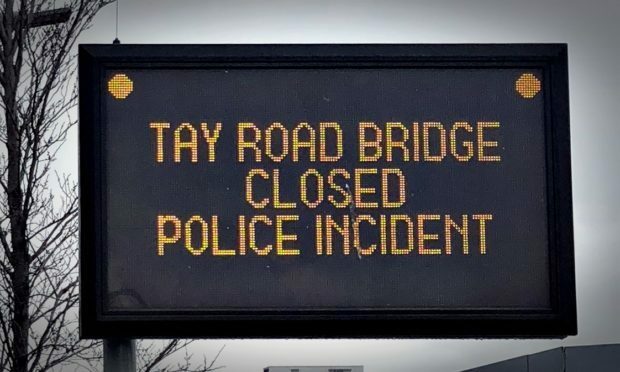 Figures obtained from the twitter account show motorists were subjected to 132 days of disruption on the bridge this year for police and other incidents, such as roadworks, breakdowns and closures due to high winds. It appears March’s Beast from the East weather disruption had a significant impact on traffic with the month seeing 18 days impacted by delays, more than any other in 2018. A former Abertay University student has urged people struggling with mental health issues to speak out this Christmas after support given to her helped her graduate. Laura Jackson graduated last month with a Masters in International Human Resource Management. 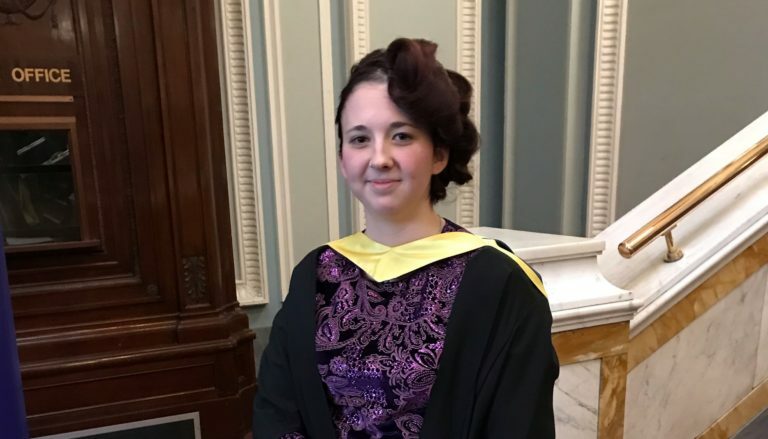 It was a proud achievement for the 23 year-old, who says it wouldn’t have happened without the support provided by Abertay’s Mental Health Advisor and Student Services team throughout her studies. “A few years ago, I was at a really low point in my life. I had just started a business degree in Glasgow but, due to health and mental health issues, I felt so isolated that I dropped out after only a few weeks and had to go back to living with my mum,” she said. Throughout her three years at Abertay – two completing a BA in Business Management, and one at Masters level – Laura attended regular sessions with its mental health advisor David Cameron. “Because I’d had a few months out after leaving Glasgow, when I started at Abertay I wanted to see what was available to help support my studies,” she said. This ongoing support ended up being key to Laura’s progression through her degree as she engaged with the service when she felt overwhelmed juggling coursework deadlines, a part-time job and a spate of health issues, including an underactive thyroid and learning difficulties dyslexia, dyspraxia and dysgraphia. “There were so many times, when things were tough and my mental health was suffering, that I was close to giving up,” she said. Following Graduation, Laura has moved back to Glasgow and is currently an intern at a women-only HR practice, while she thinks about her next move. By sharing her story, Laura hopes she can help inspire others to keep going, even when mental health issues try to stand in their way. 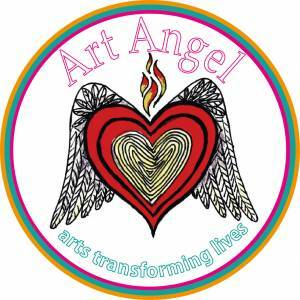 Breathing Space Scotland – provides telephone counselling. Open: Weekdays – Monday to Thursday 6pm to 2am; Weekend -Friday 6pm to Monday 6am. Their phone number is 0800 83 85 87. Insights Counselling – a counselling services that provides confidential, non-judgemental, 1-2-1 counselling by appointment. For further details you can phone 01382-305706 or visit them online. Samaritans – provides a 24/7, 365 day a year telephone service – Their phone number is 116 123 or you can email jo@samaritans.org.uk. 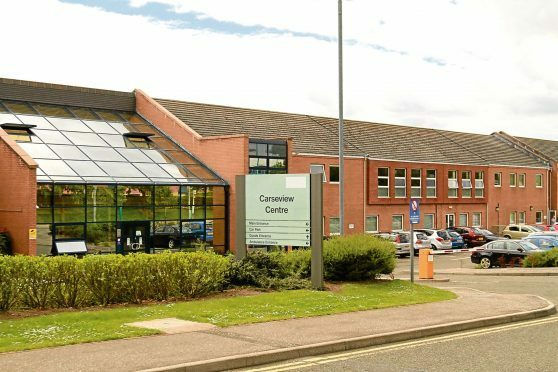 Much of the focus of the independent inquiry into Tayside’s mental health services is expected to be on the Carseview Centre. A grieving mum has demanded an overhaul of mental health services after it emerged dozens of people have taken their own lives in Dundee despite seeking help. The proportion of suicide victims in the city who have attended a psychiatric appointment in the year leading up to their deaths is higher than in any other part of the country, official data revealed. 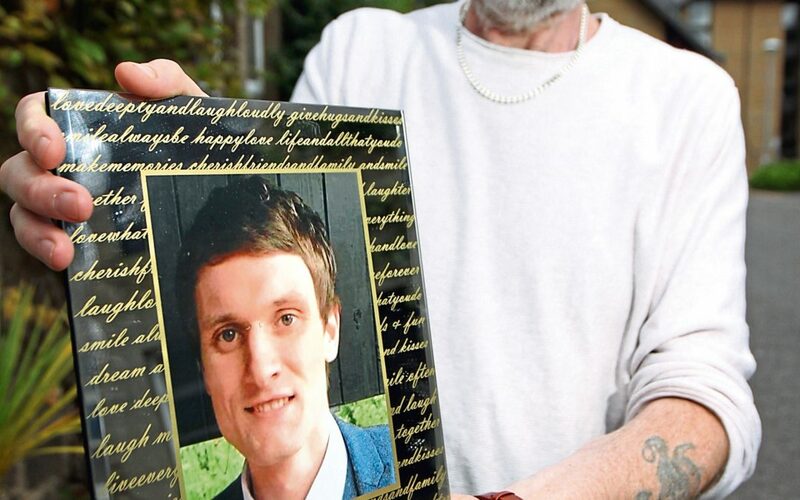 Mandy Mclaren, whose son 28-year-old son Dale died in 2011 shortly after discharging himself from the Carseview Centre in Dundee, said the new figures were evidence that people are being let down by NHS Tayside’s mental health services. “To me the whole system is failing,” she said. “That amount of people committing suicide is absolutely shocking. It does not get any easier. In nearly half (46%) of the 164 suicides in Dundee between 2011 and 2017, the victim had a psychiatric outpatient appointment in the 12 months before their death, which is the highest rate in the country. The Scottish Suicide Information Database, which was published on Tuesday, showed there were 769 probable suicides in Tayside and Fife during that period. The national total was 5,204. A spokeswoman for NHS Tayside said every suicide was a tragedy and was “comprehensively reviewed by the Tayside multi-agency Suicide Review Group to look at the circumstances surrounding each individual case”. People have until December 14 to give evidence to an independent inquiry into mental health services in Tayside. Visit www.suicidehelp.co.uk or phone Samaritans on Freephone 116 123.